Ty Sbano built his information security career at a variety of financial services organizations and has also done work in the retail and technology sectors. More recently, Ty has been branching out as an industry leader, career coach, technology advisor, and is currently the Head of Security at Periscope Data. 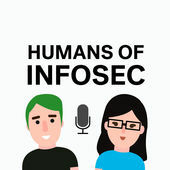 He currently specializes in the areas of software security, DevOps, Security Engineering, but he attributes a lot of specialization around the vertical of Security Culture.